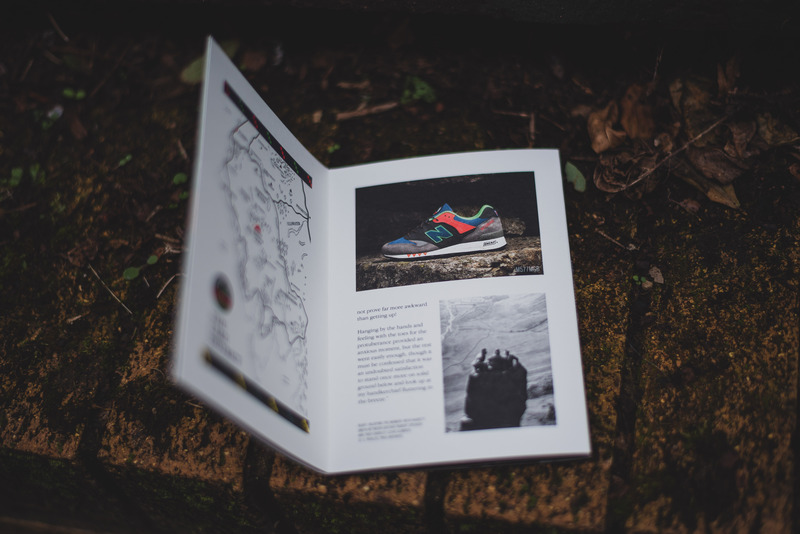 Back in November when we visited the Flimby Factory, our keen eyes locked onto this pack which were being made then, and since then, we’ve been eagerly anticipating this release. 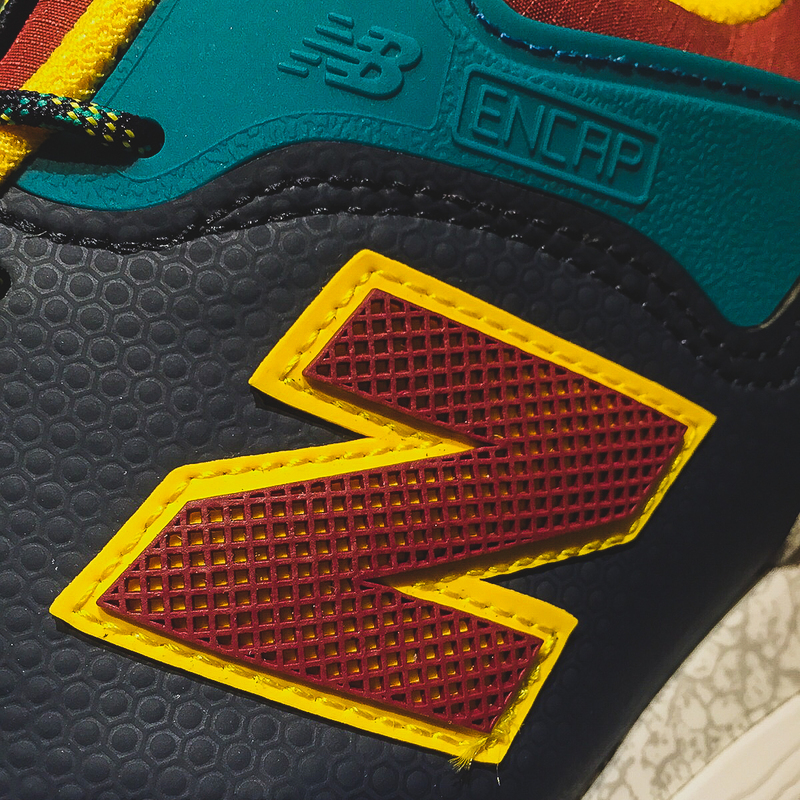 Finally, September 2015, and they have been released! 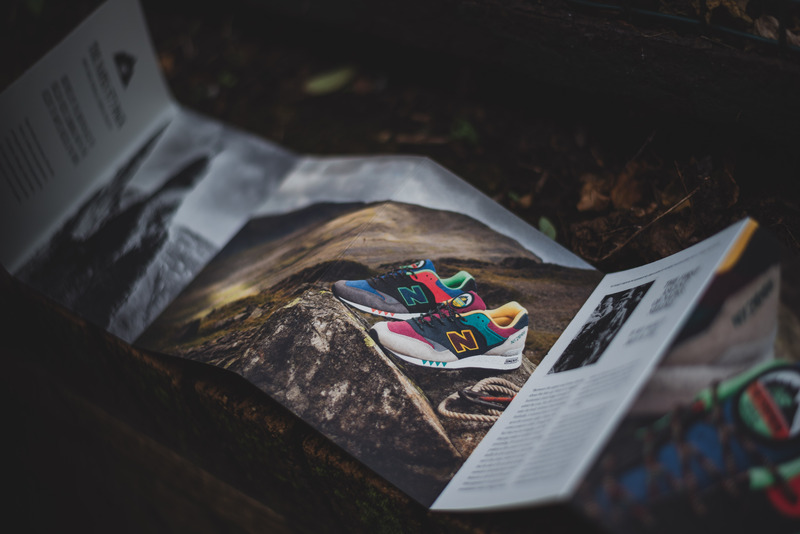 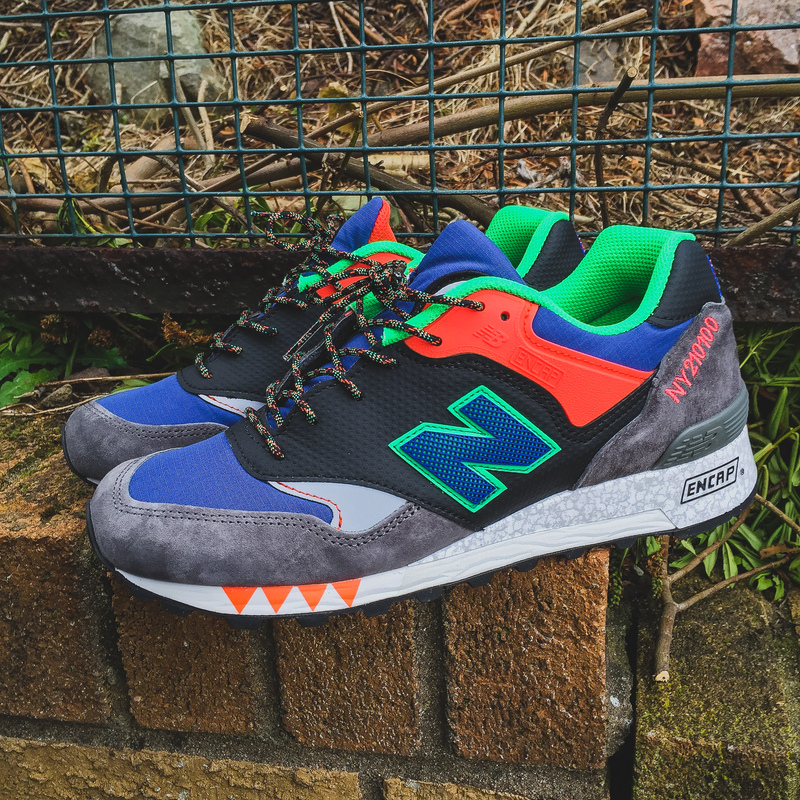 The UK contingent of New Balance have never been shy to utilise the great outdoors of the UK when creating shoes, and we seen that a couple of years ago with the New Balance 576 “Three Peaks Challenge” Pack, based off of Scafell Pike, Ben Nevis and Snowdon. 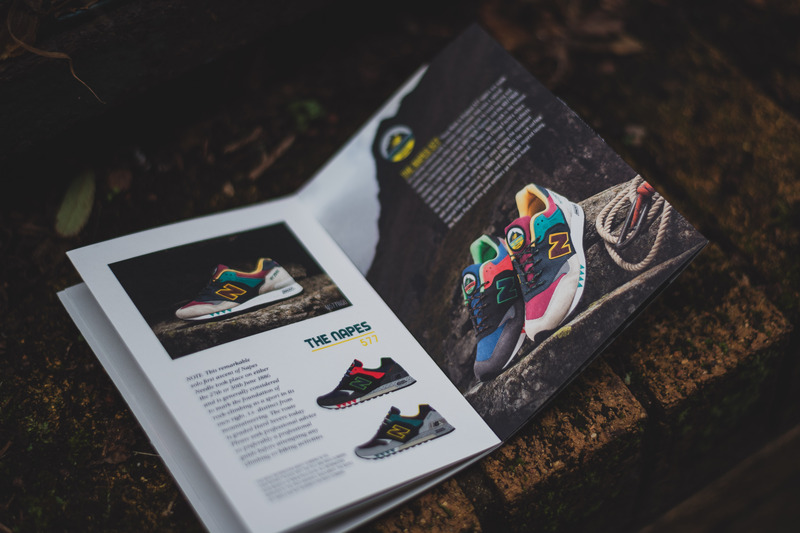 The New Balance 577 “The Napes” Pack is inspired by the birthplace of English rock climbing with the first ascent of the Napes Needle in 1886. 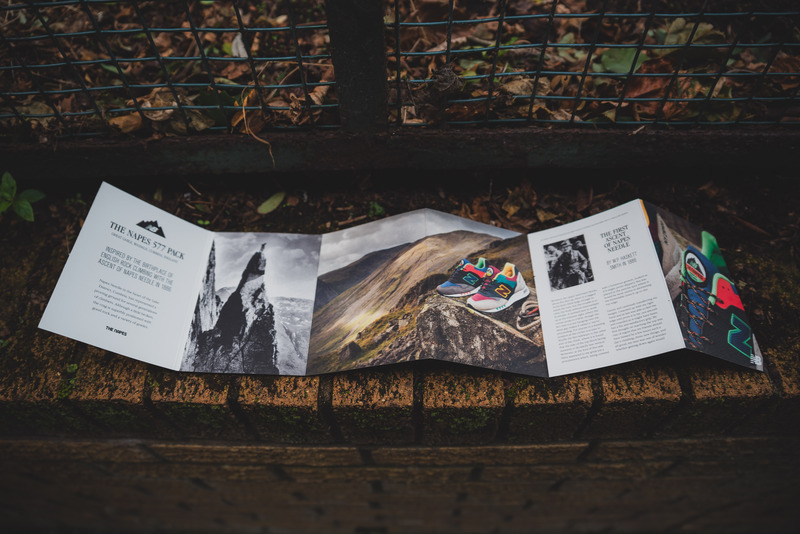 The Napes Needle is located in the heart of the Lake District, Cumbria, and has represented a proving ground for several generations of climbers. 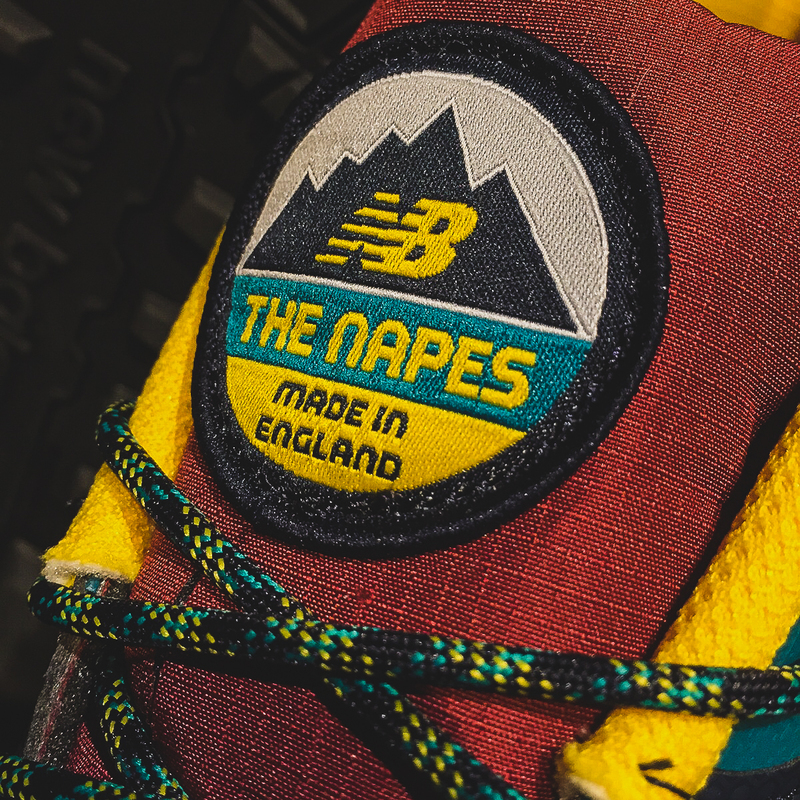 The Napes Needle is around 30 miles away from the location of the Flimby Factory, as well as being relatively close to England’s highest mountain, Scafell Pike. 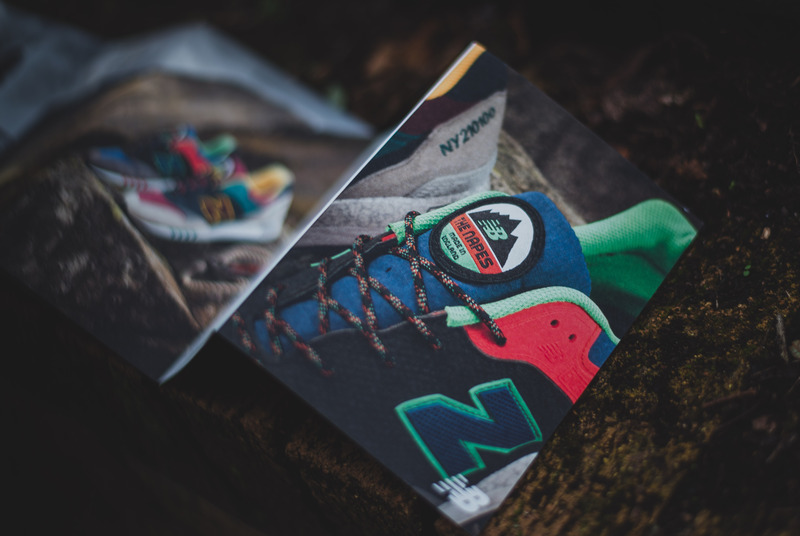 There are two pairs to this pack, the New Balance 577NGB (lighter), and the New Balance 577NGO (darker), with both being Made in England at the Flimby Factory. 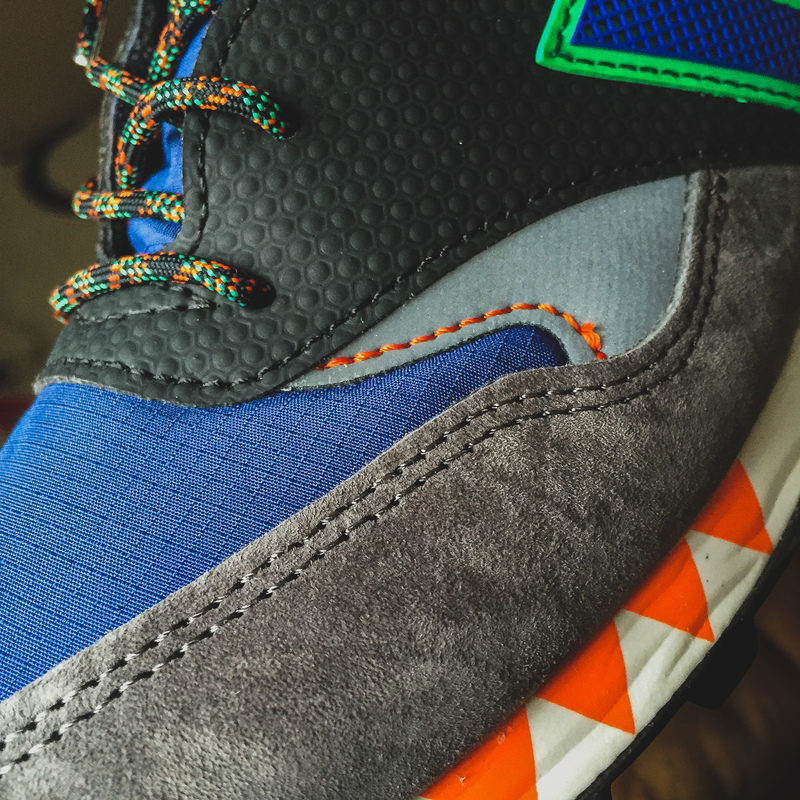 Both shoes have a ripstop material upper, with a woven construction that uses a special reinforcing technique often used in climbing gear to resist tearing and ripping. 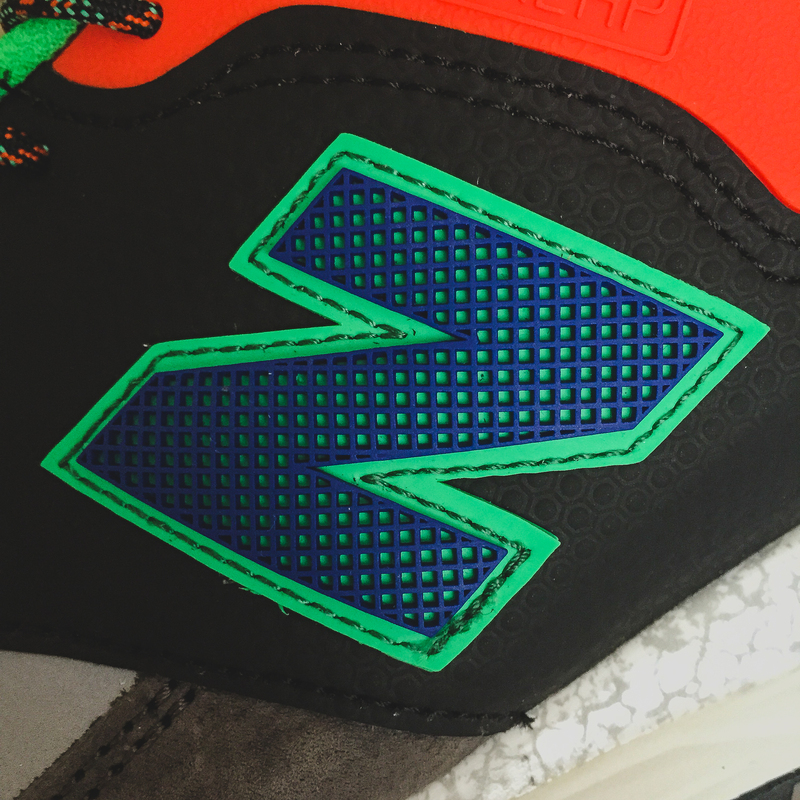 The uppers are also decked out in lush suede, which provides great contrast against the ripstop material. 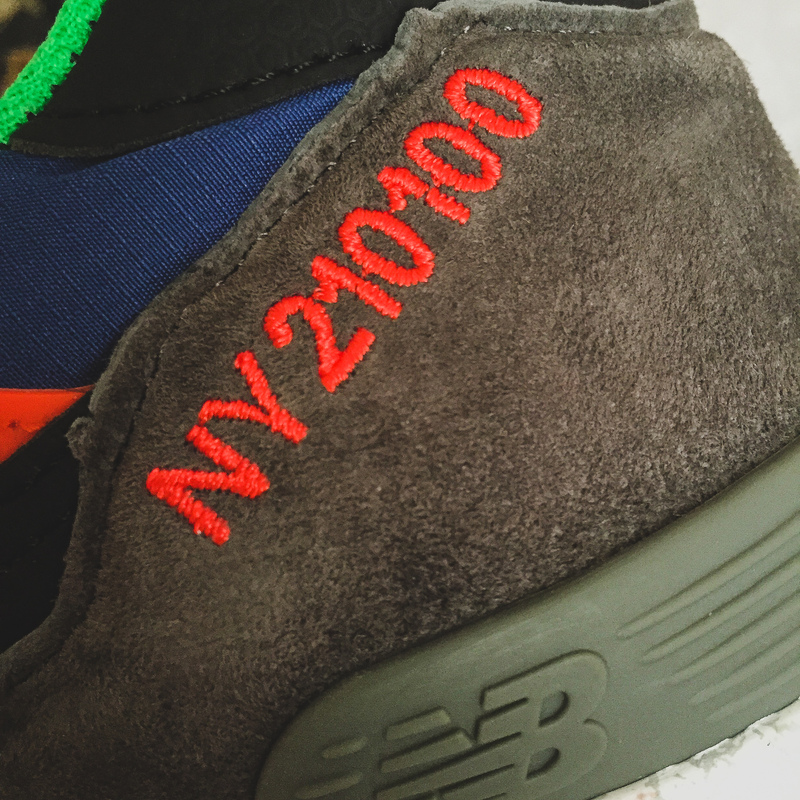 On the heel wrap, the OS Grid reference of the Napes Needle rock in the Lake District has been embroidered on – ‘NY210100’. 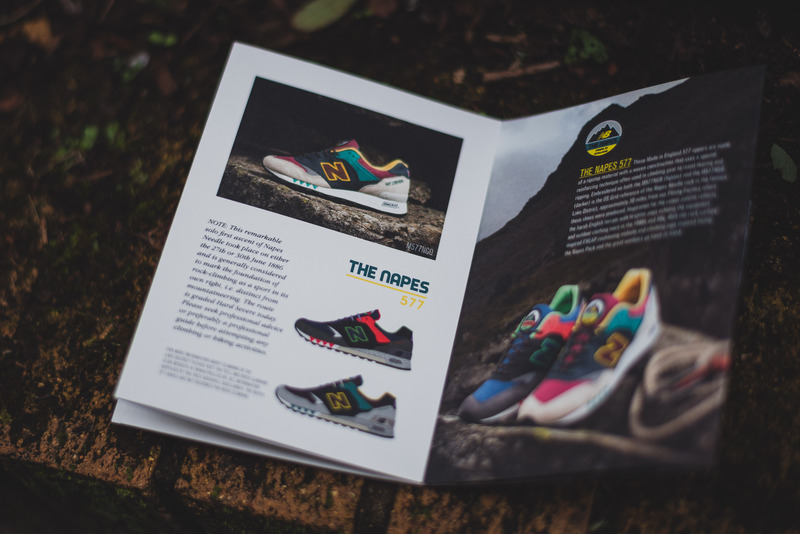 The inspiration for the colour palette reflects the harsh English terrain with brighter pops echoing the equipment and outdoor clothing worn in the 1980’s and 90’s. 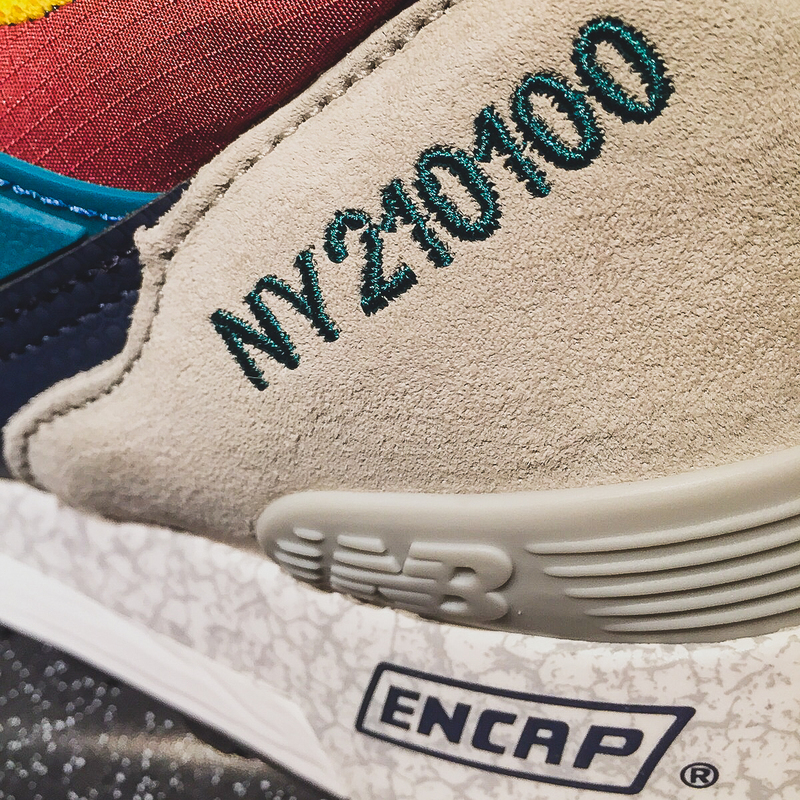 The Encap midsole gets a rock surface inspired pattern on it, and the laces see a climbing rope inspired design, but they also come with some flat laces if you’re not feeling that. 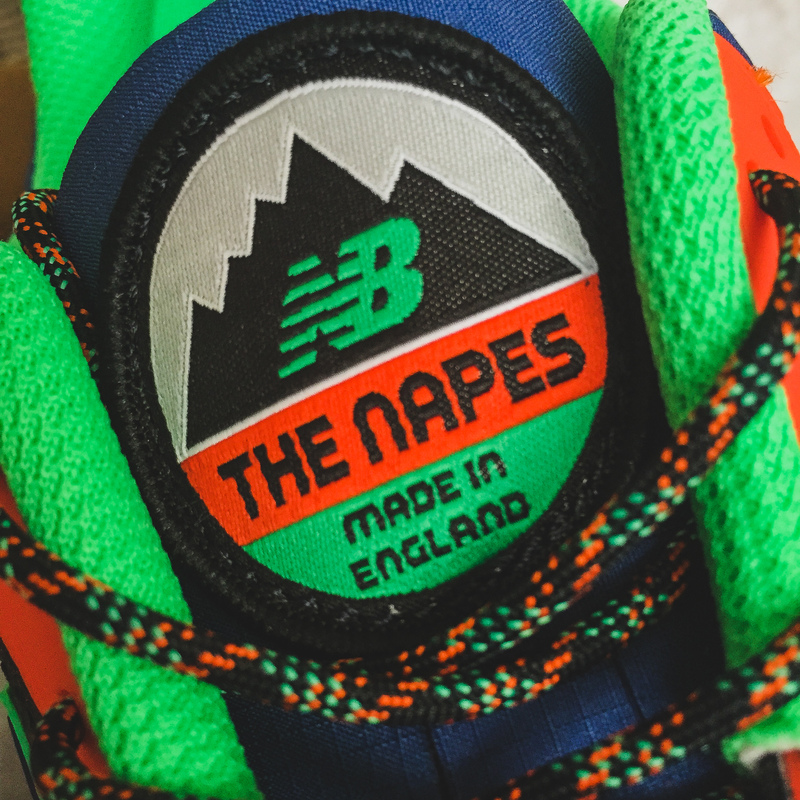 The shoes also come with a really neat tongue tab designed specifically for “The Napes” Pack, as well as custom insoles. 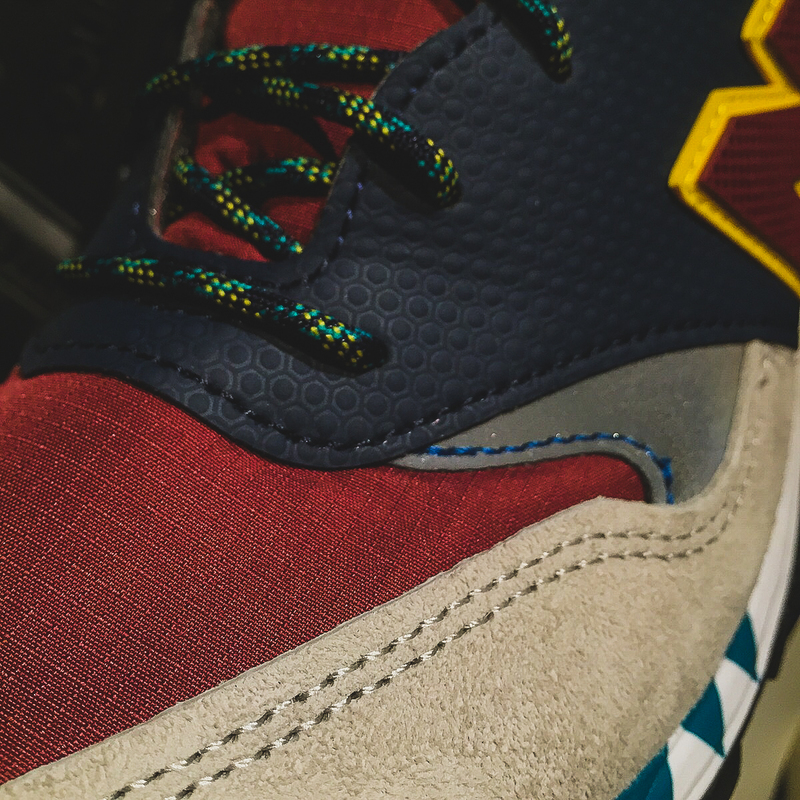 Getting your hands on these shoes and checking out all the different materials in person, you really get the feeling that a lot of effort has went into making both these pairs! 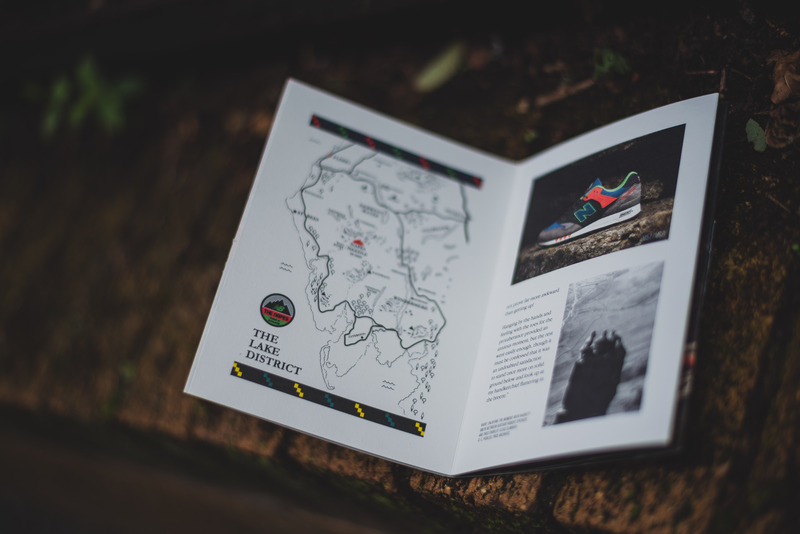 “The Napes” Pack also comes with an exclusive print booklet, which details the geographic area of the Napes Needle, and the inspiration behind this pack. 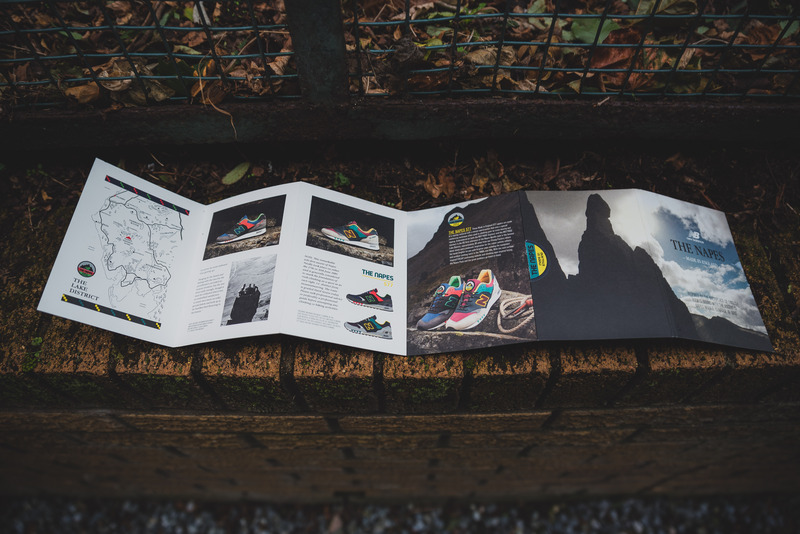 If your pair doesn’t come with the booklet, then fear not, as we have provided some shots of this great piece. 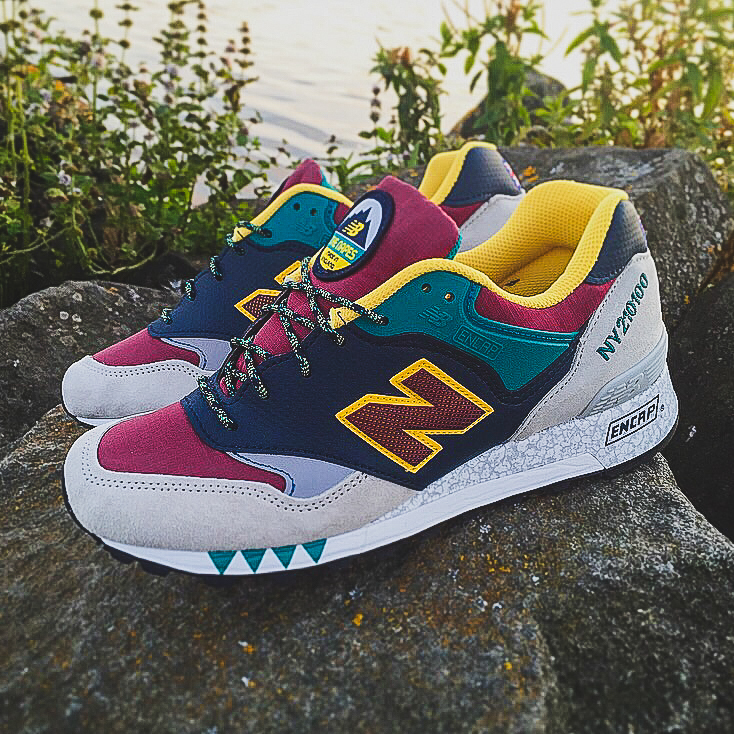 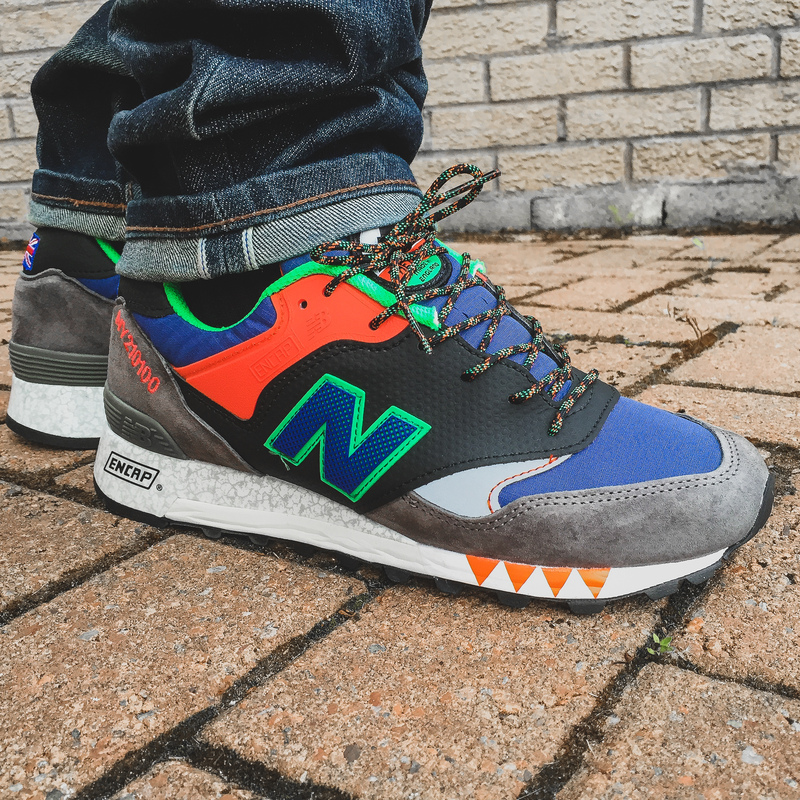 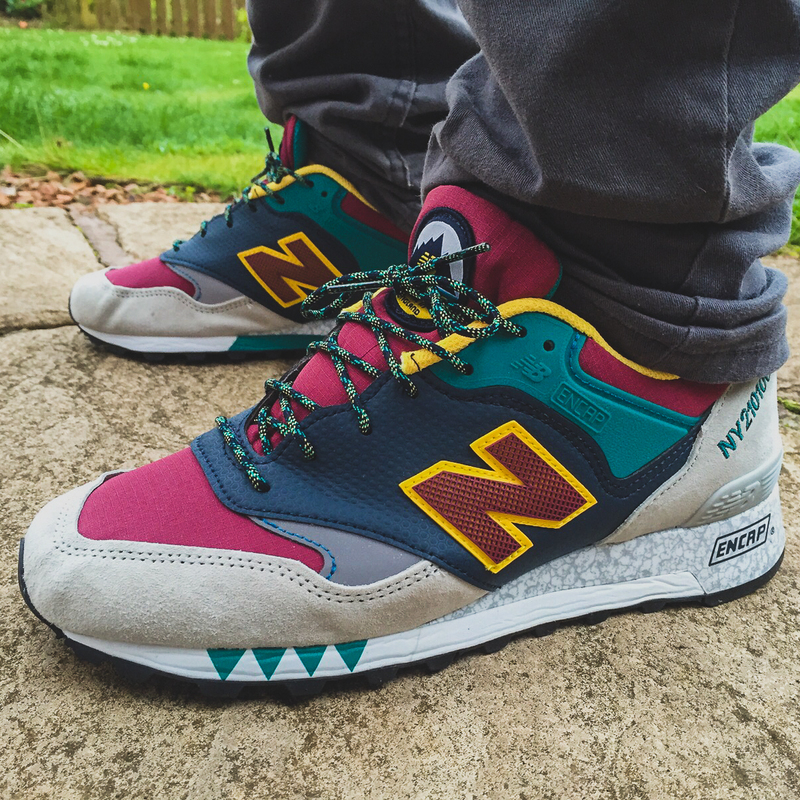 Some more on-foot shots of the lovely New Balance 577NGO, with a big thanks to New Balance UK for the kind gift! 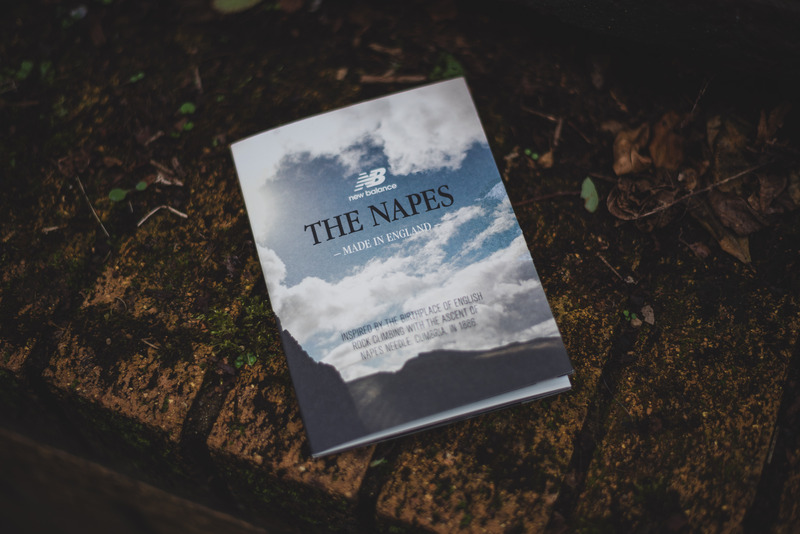 You can also grab the “The Napes” Pack now via End Clothing >> 577NGO + 577NGB.